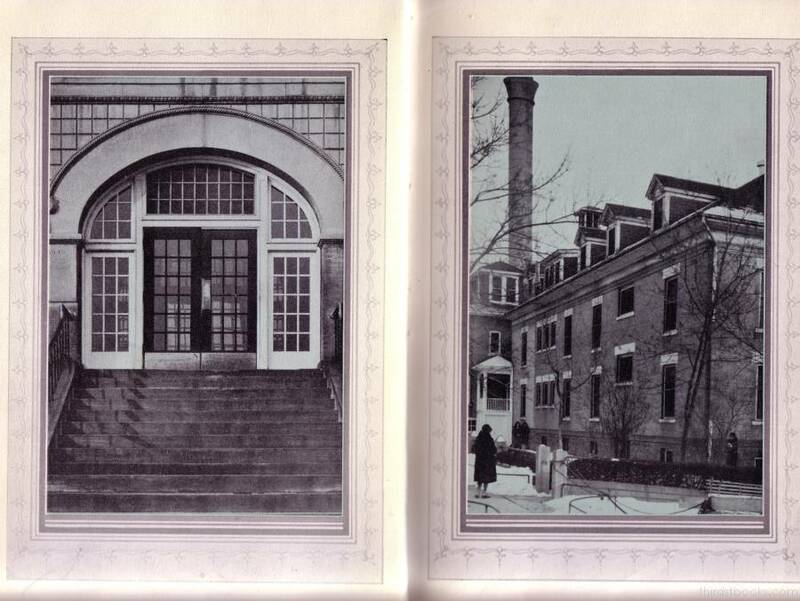 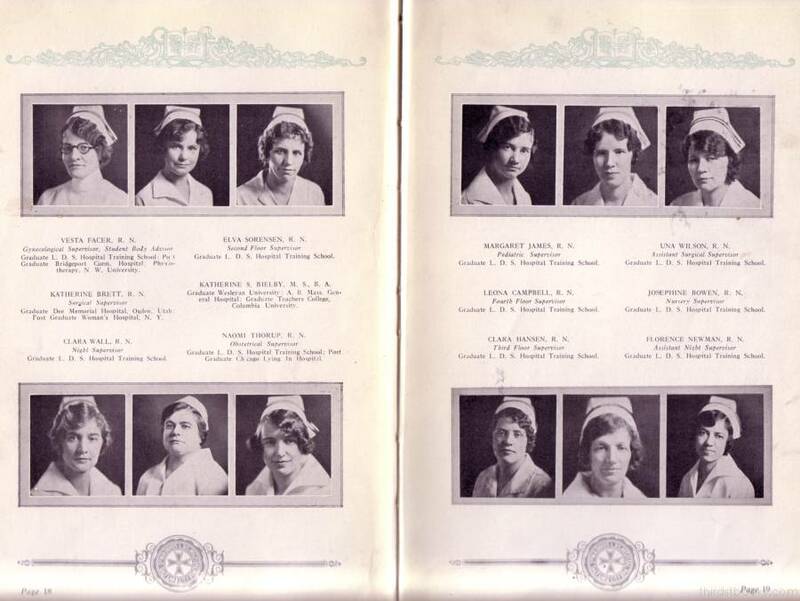 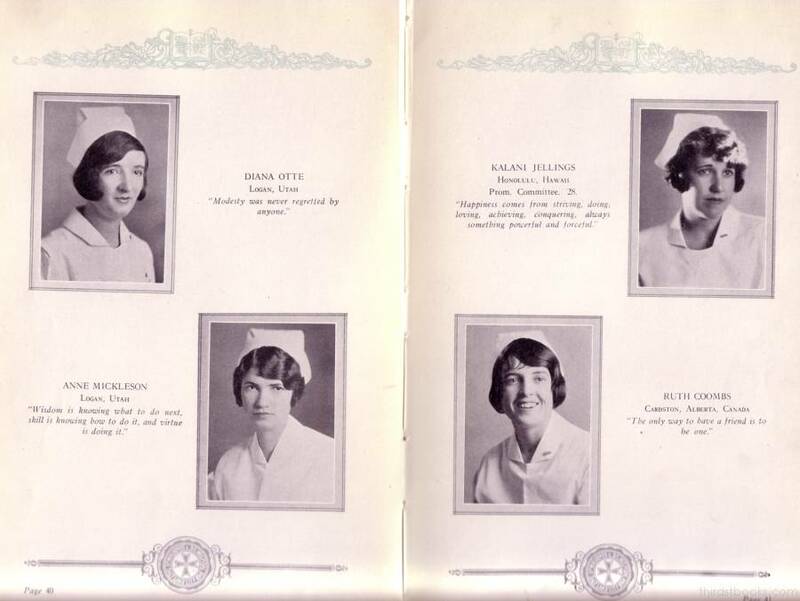 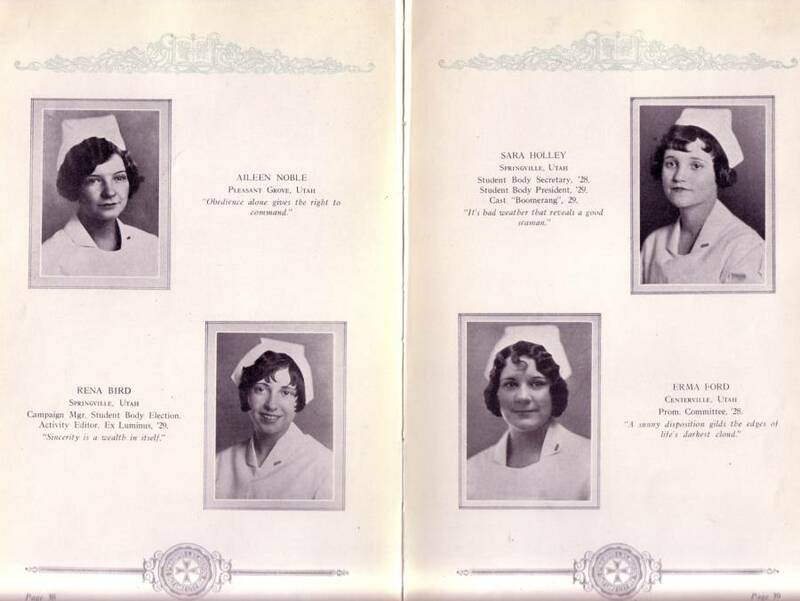 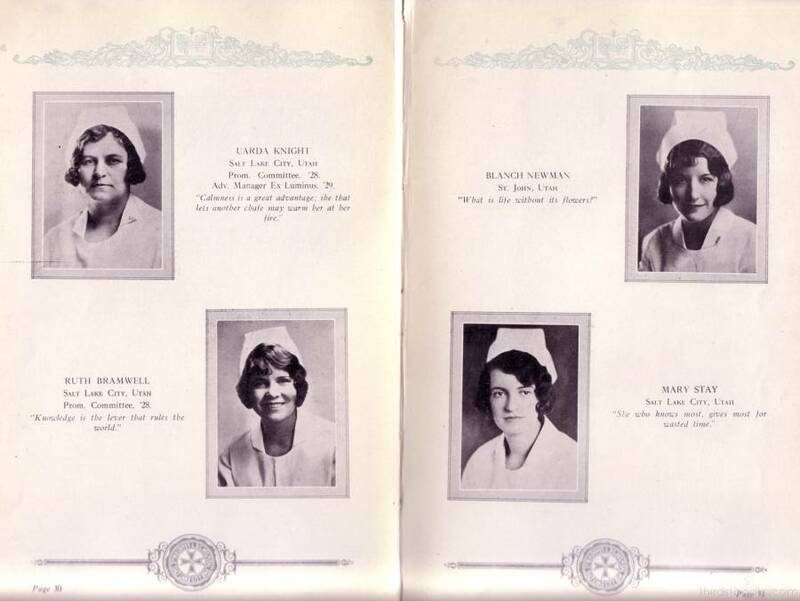 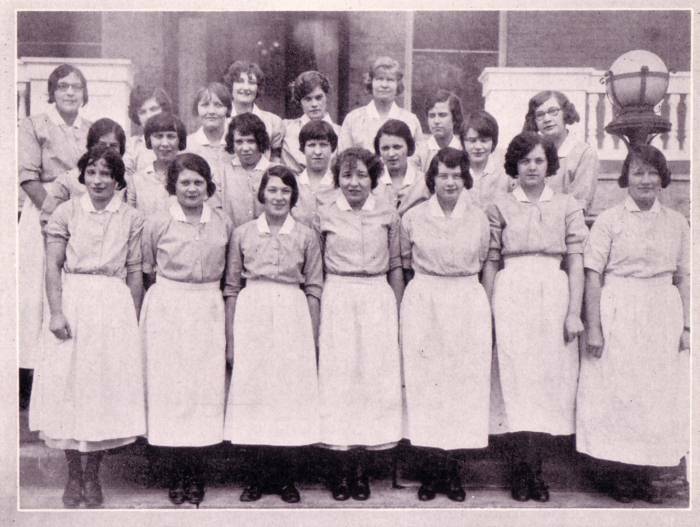 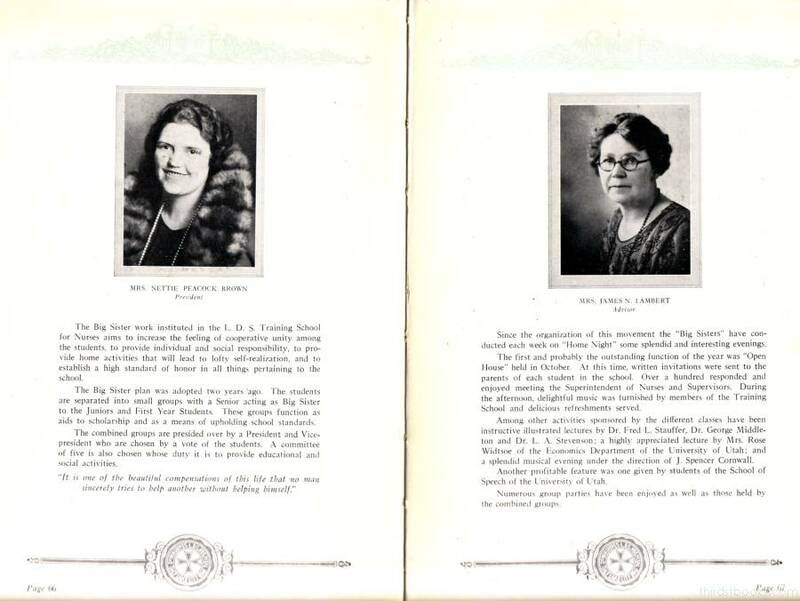 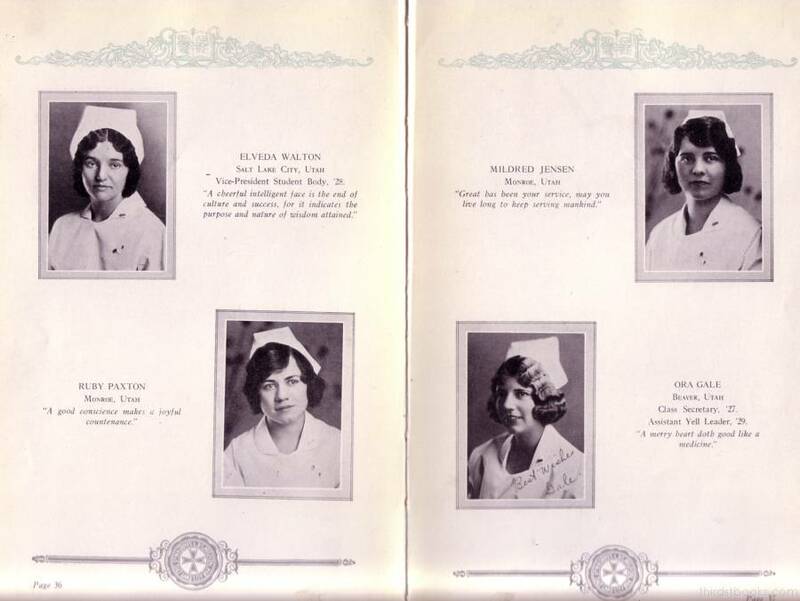 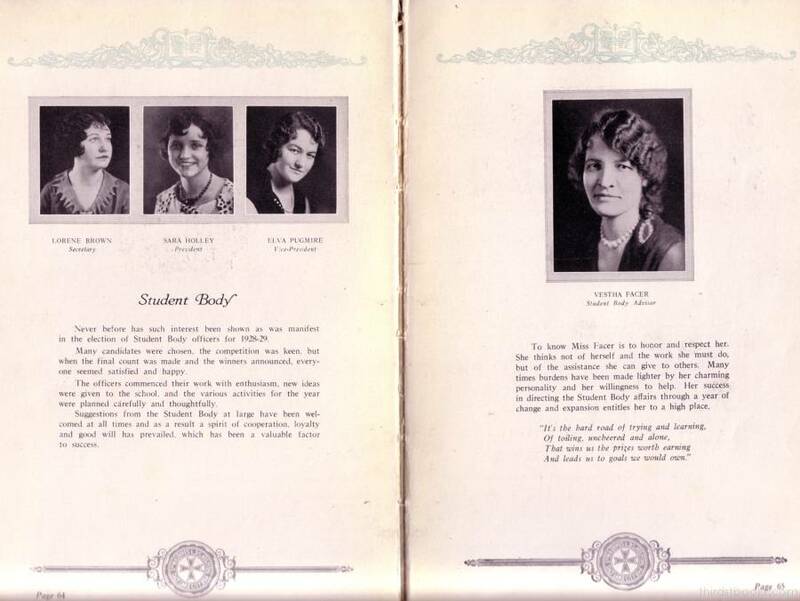 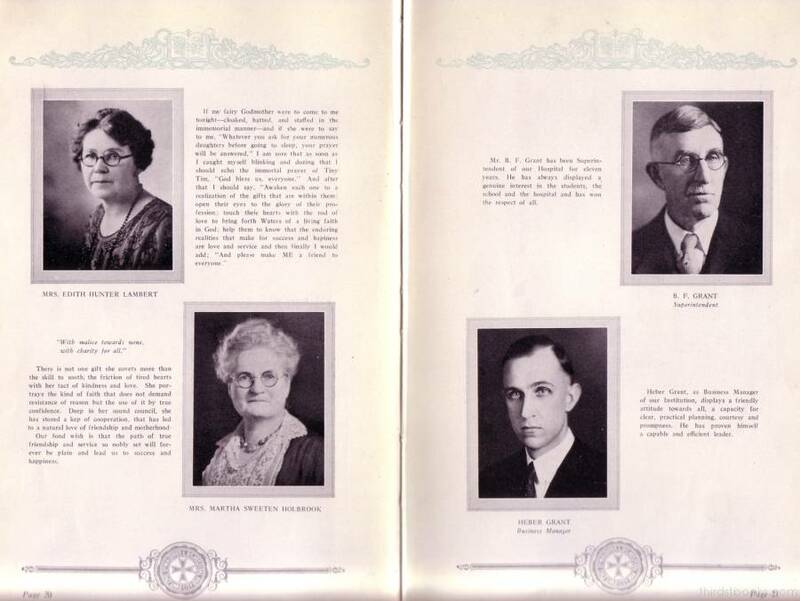 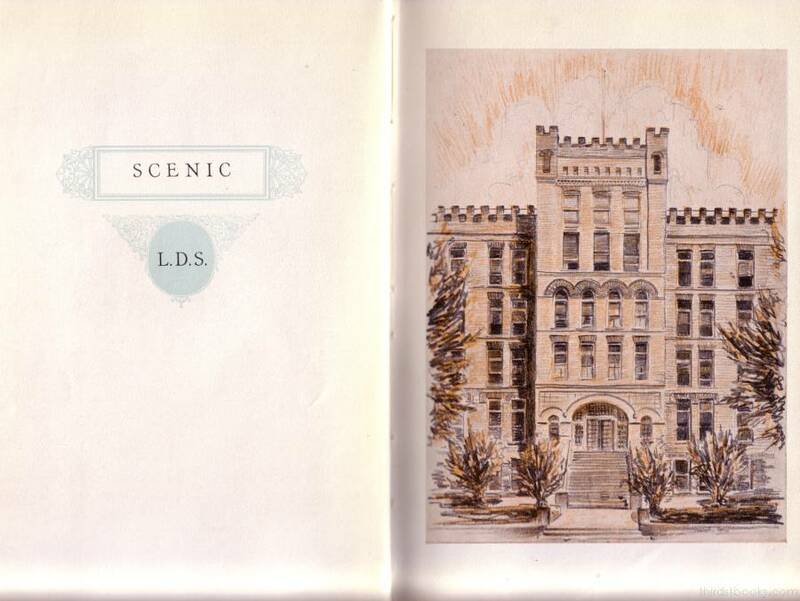 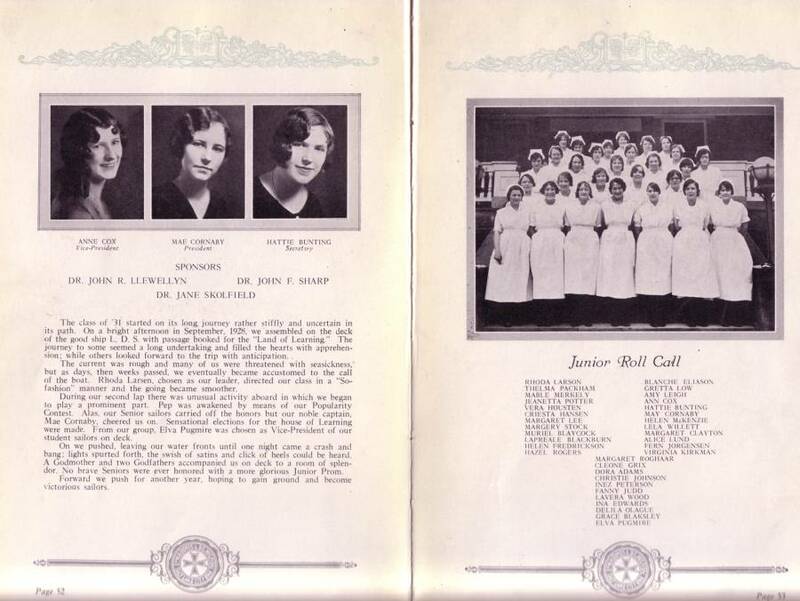 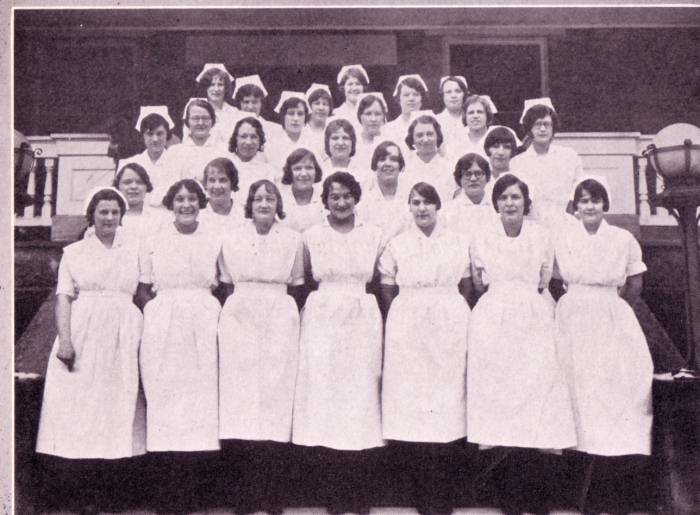 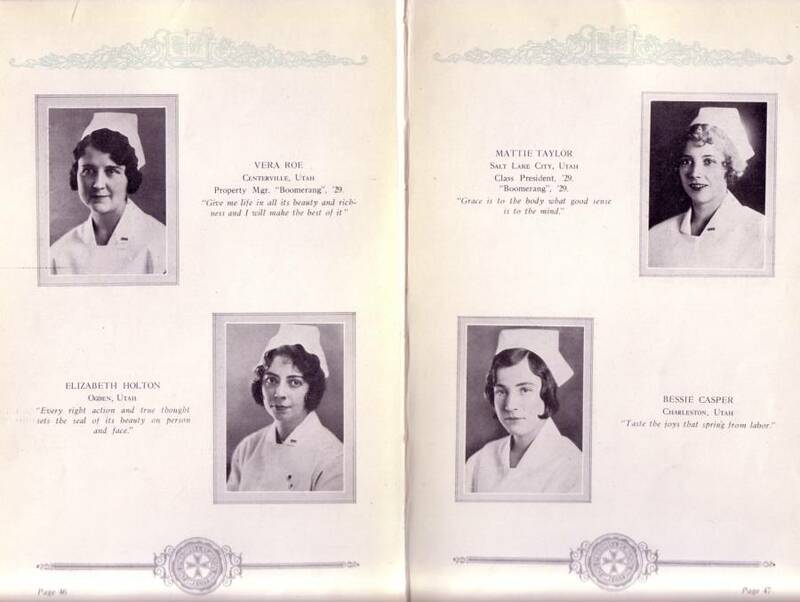 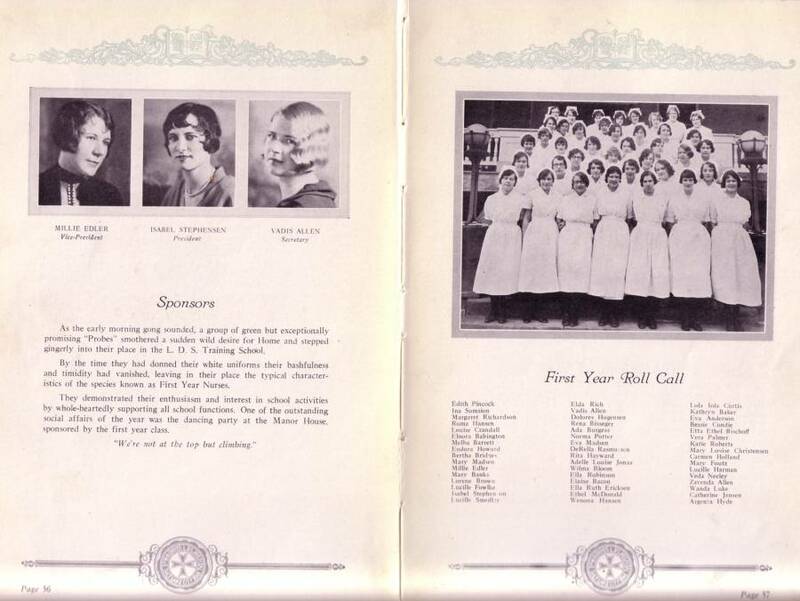 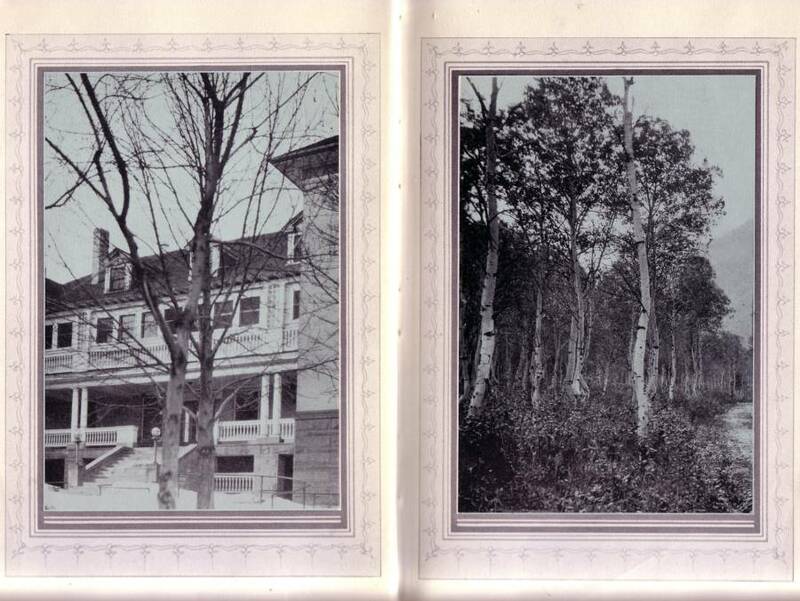 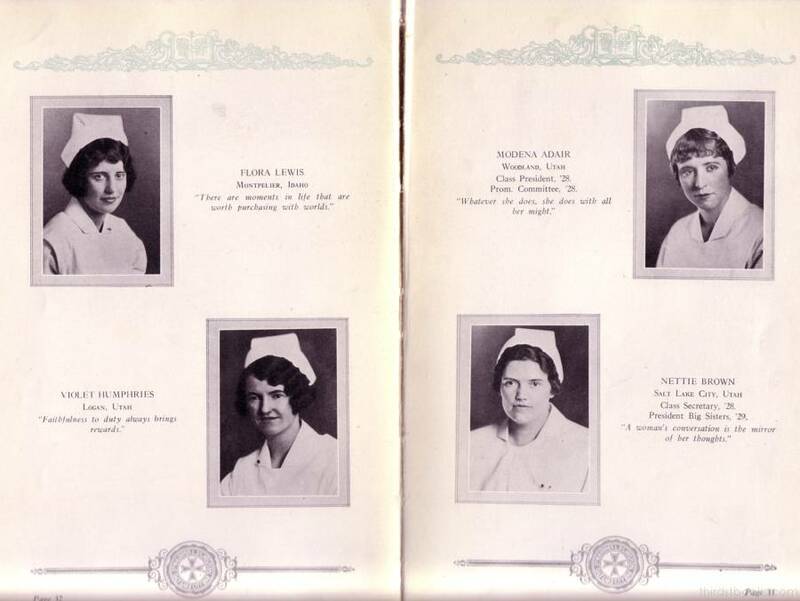 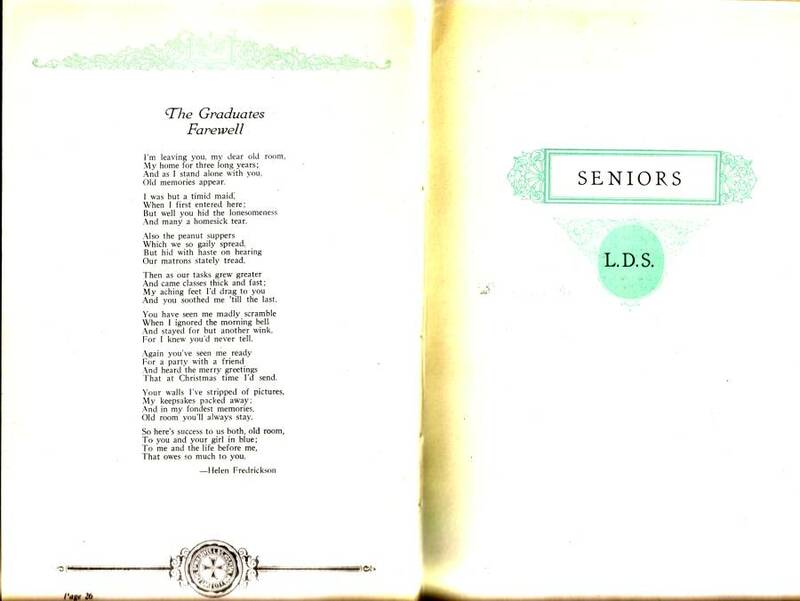 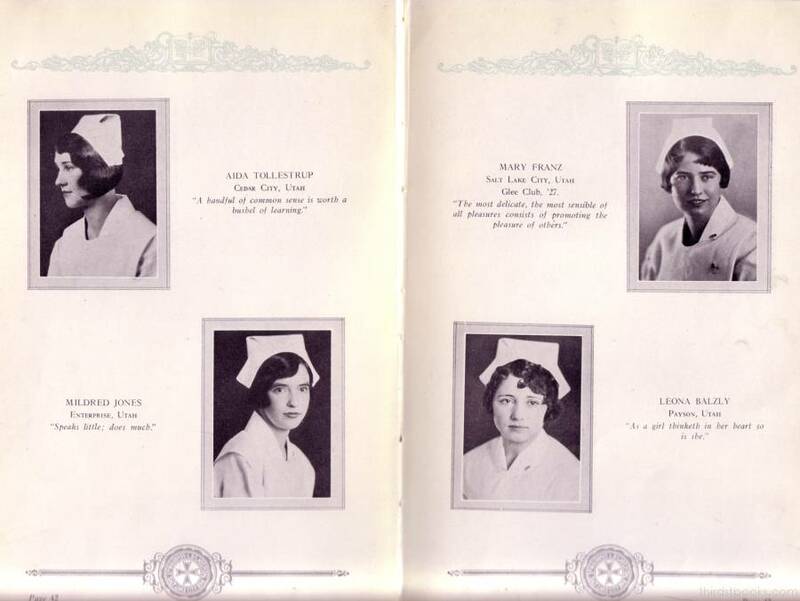 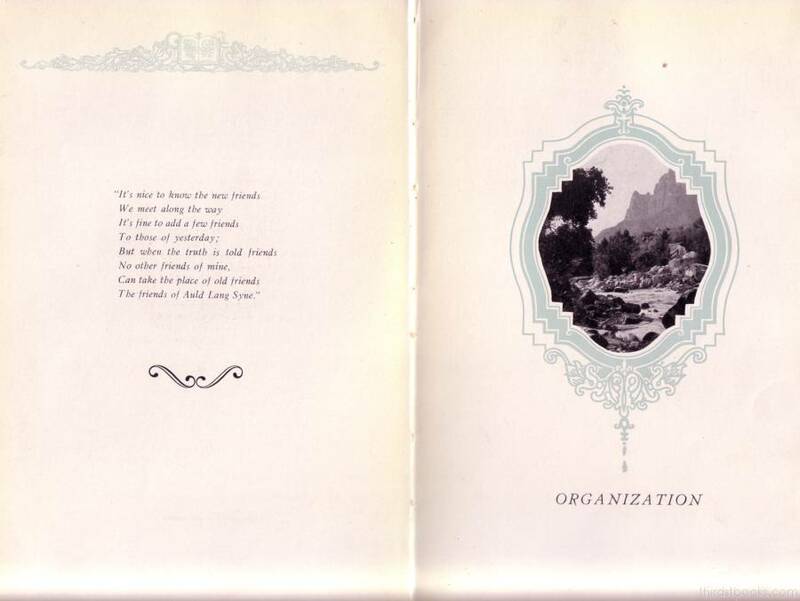 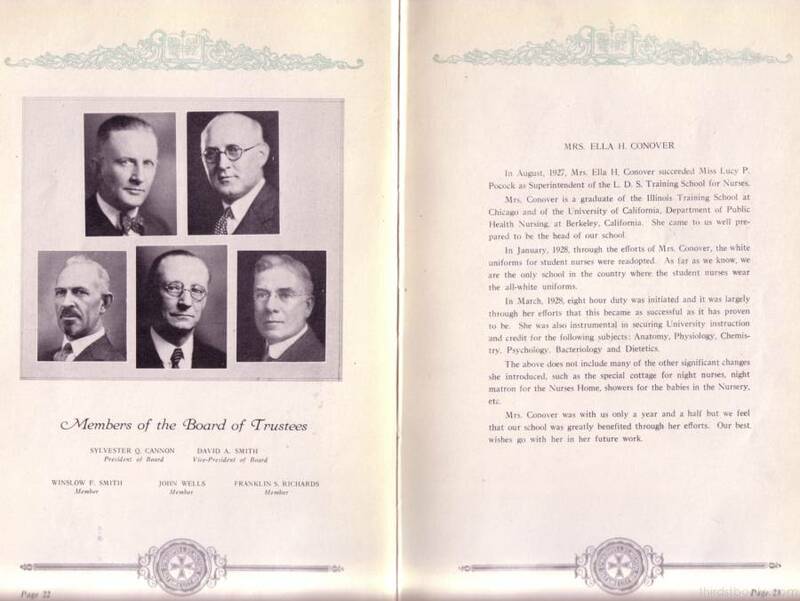 The Dr. Groves L. D. S. Hospital School of Nursing yearbook for 1929 is a hardcover book with 130 pages including advertisements and autograph pages. 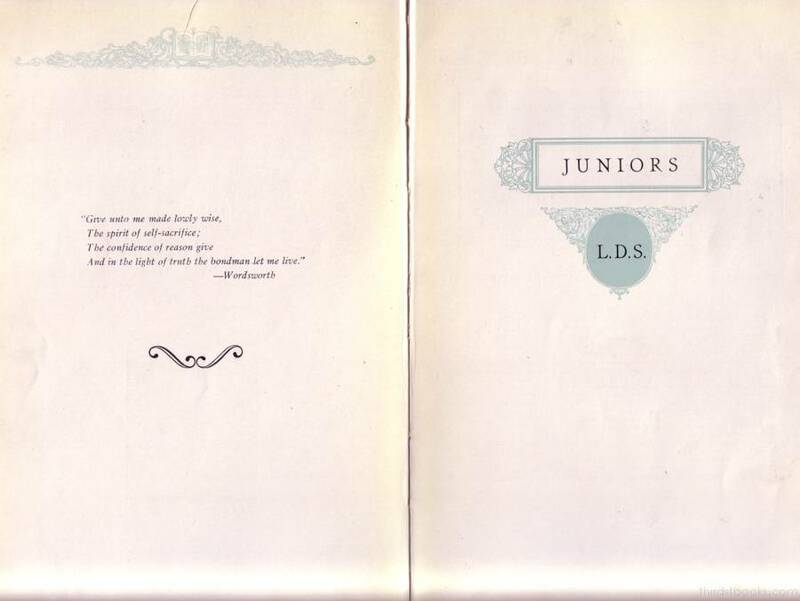 The book is missing the last page which was torn out. 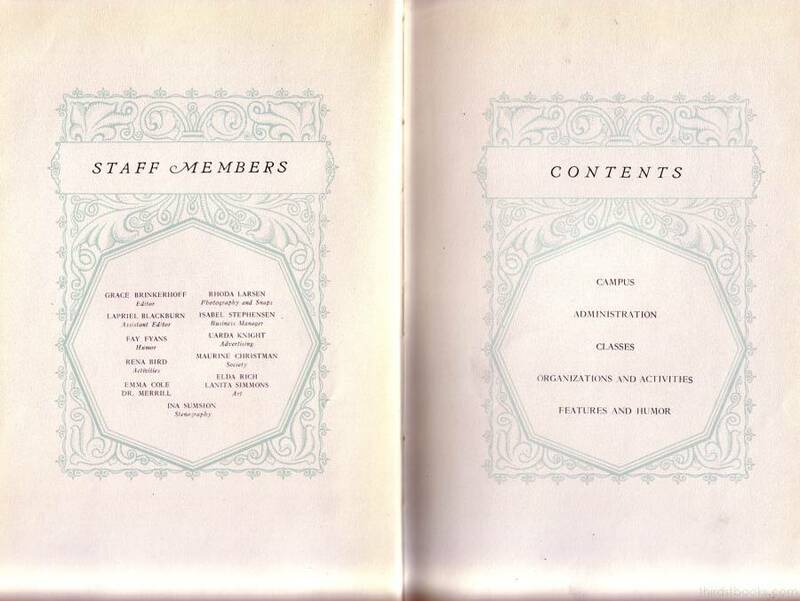 The missing page did contain more autographics and remembrances. 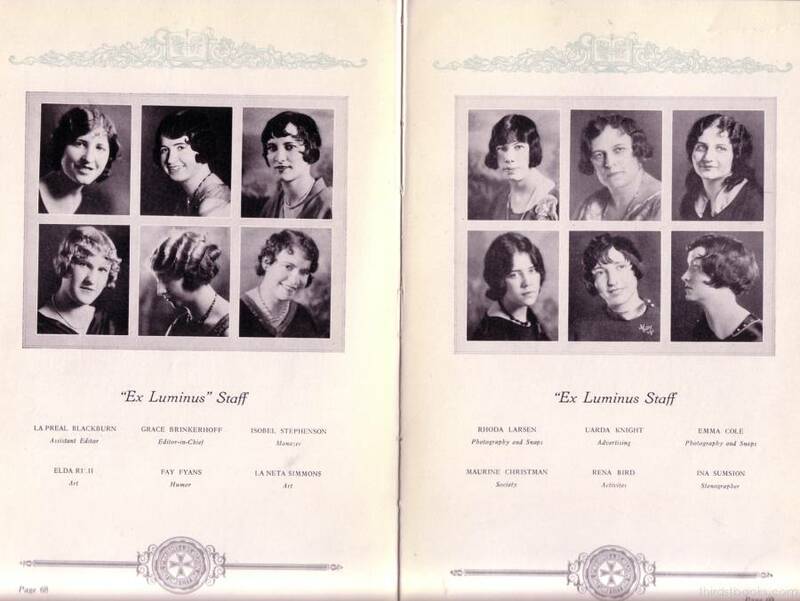 The presentation identifies all seniors portraits. 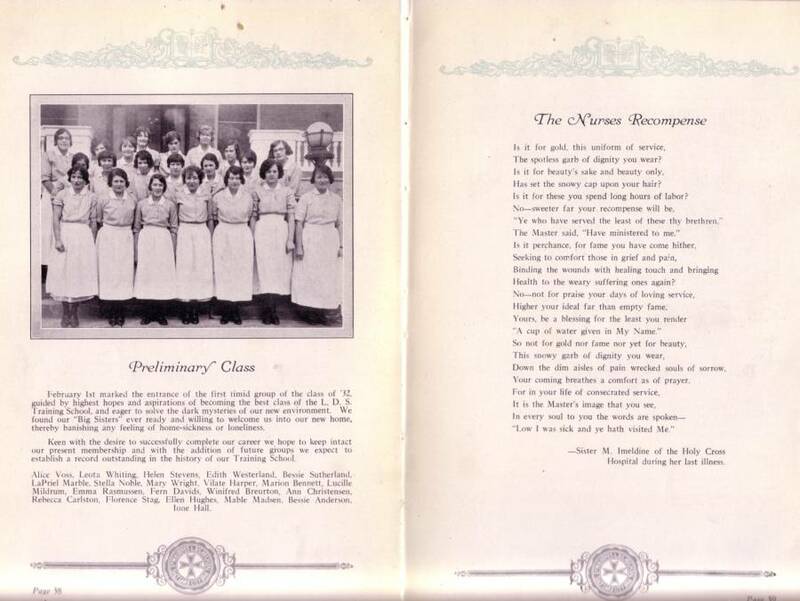 The two other classes were group shots with a group list of names. 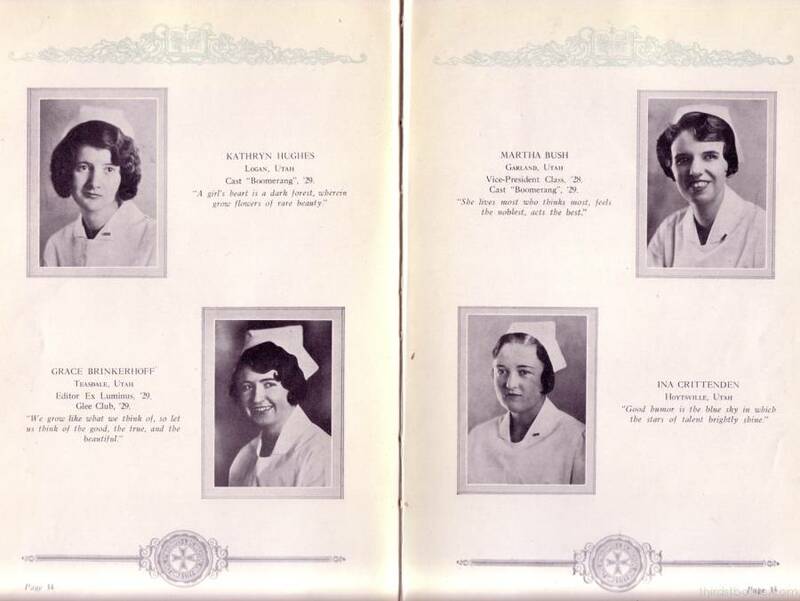 There are portraits of some of the faculty but most of the hospital staff are only listed by name. 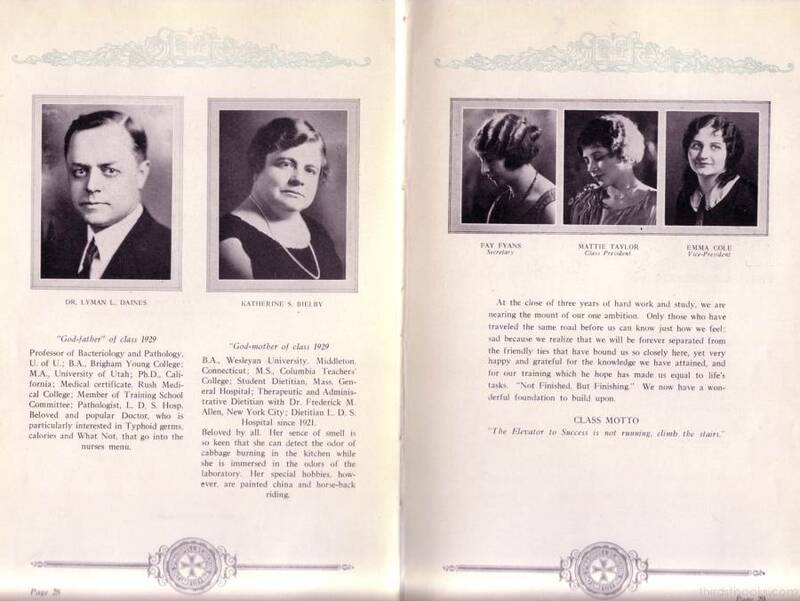 The activity pictures are wonderful glamour shots of the women and these are well documented. 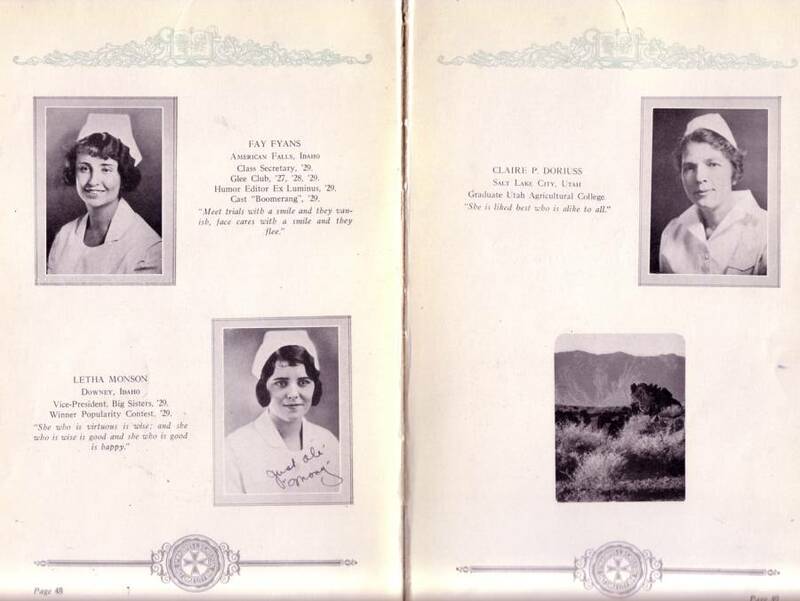 It is important to view these pictures. 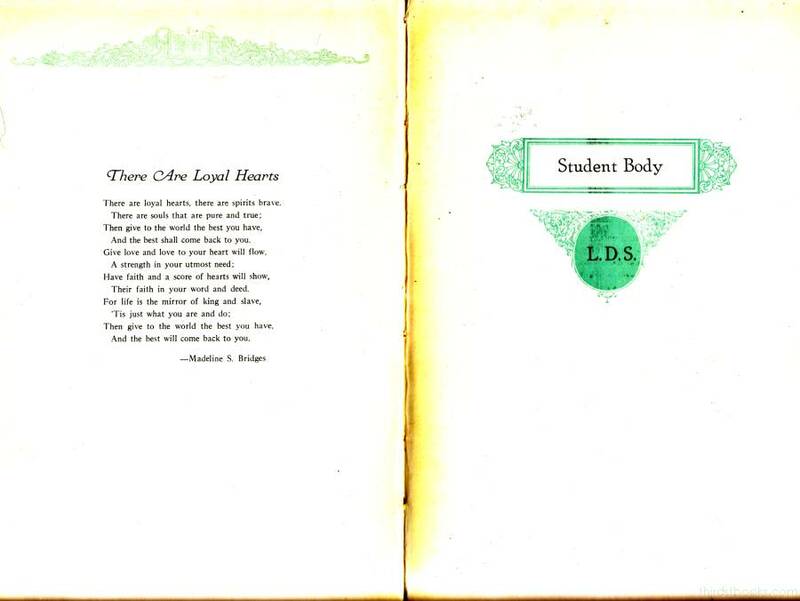 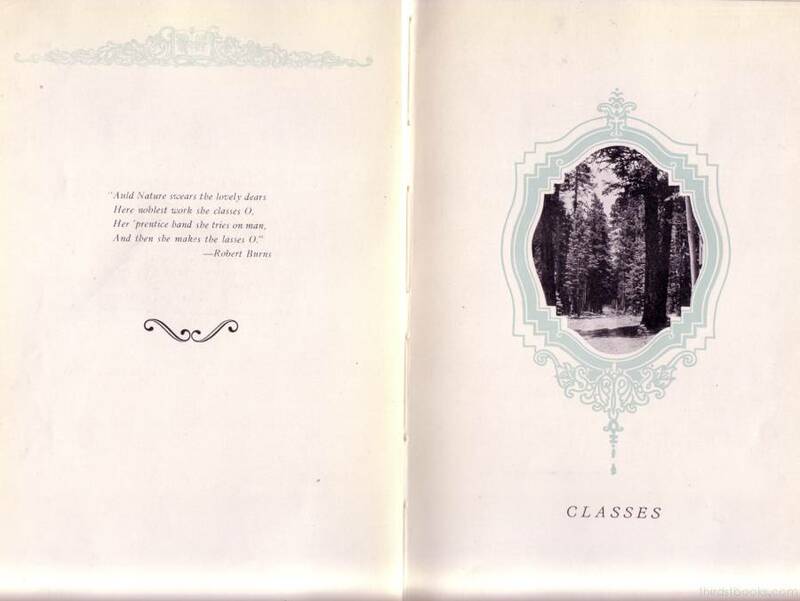 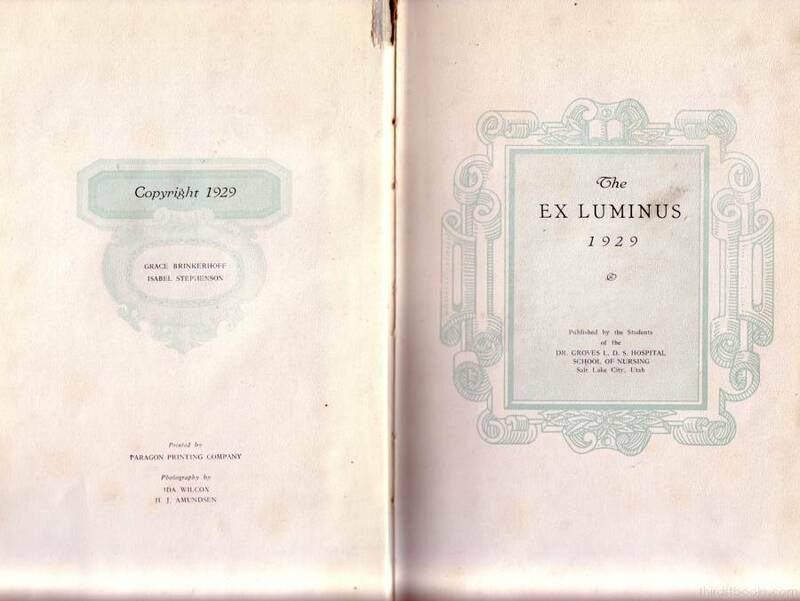 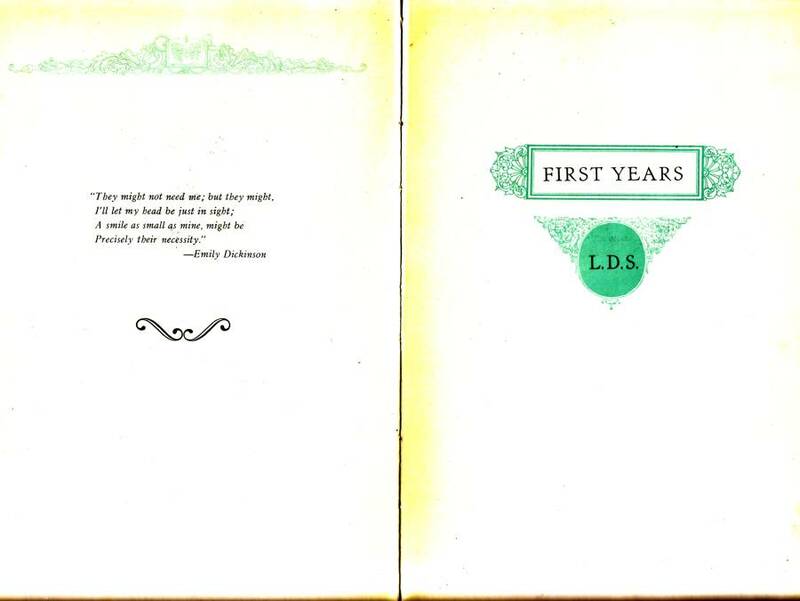 The book was owned by Hazel Rogers, a Junior in 1929. 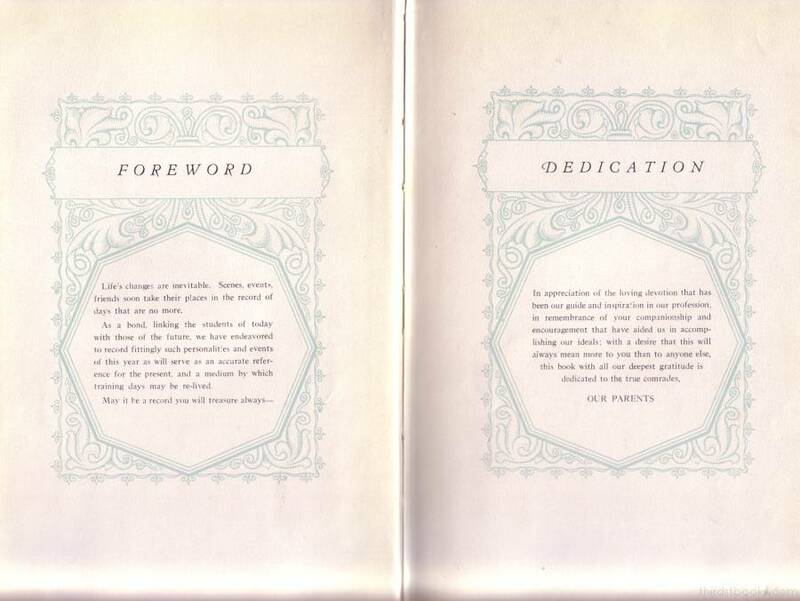 10 pages of the book are full of autographs and remembrances. 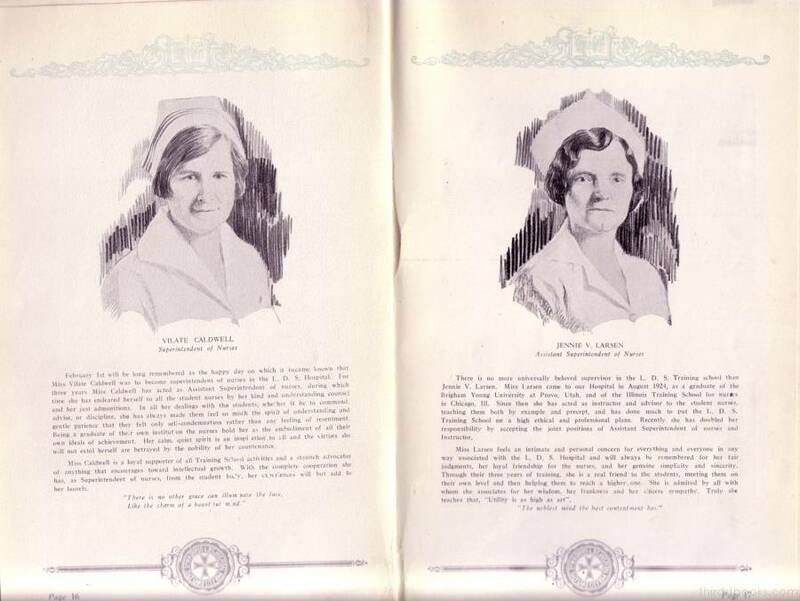 Many of the women were married and signed with married name and some included their address.